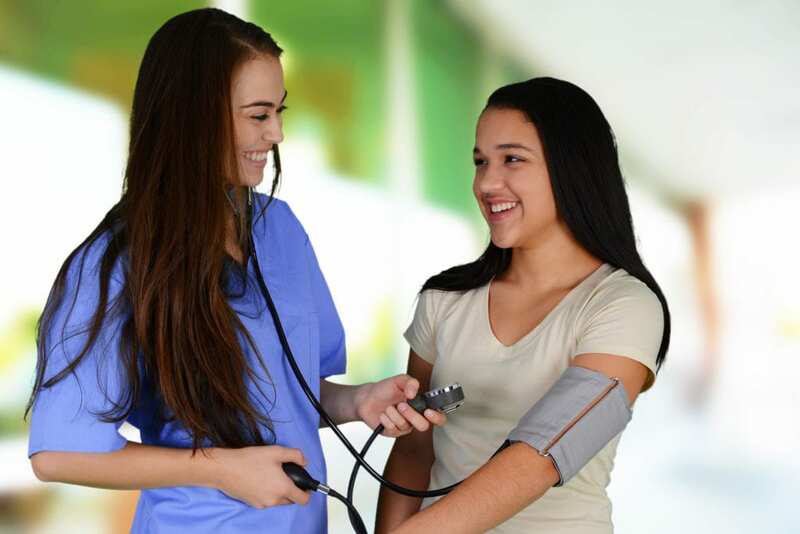 In the debate surrounding the baccalaureate degree in nursing (BSN) versus the associate’s degree in nursing (ADN) consider the words of health experts. One suggests that the BSN graduates provide overall better care with fewer errors than ADN graduates. Another urges prospective nurses to consider the recommendations from nursing associations and employer hiring trends. Leading hospitals and health care facilities are hiring more BSNs because research shows they have the educational preparation and insight to provide better quality care. Health care reform has played a vital role in the demand for BSN-educated nurses. As the role and responsibilities of nurses expand, critical thinking, assessment, and problem-solving skills are essential traits that every nursing professional should demonstrate. Under health care reform, nurses are visiting patients’ homes to reduce the number of visits to the emergency rooms. They’re providing counsel and support over the phone and assessing when the patient needs the intervention of a physician at the hospital. Nurses must be prepared to step into these new roles. The BSN curriculum is designed with this special purpose in mind. For new nurse graduates, the BSN will provide more career opportunities. A practicing associate degree nurse may benefit from an immediate pay increase by adding a BSN to her/his portfolio. Within years of graduating with a bachelor’s degree, nurses can take advantage of opportunities to move up and earn more. Most hospitals today are limiting the hiring of new employees to BSN-educated nurses. Participation in the Magnet recognition program has stringent requirements to demonstrate a commitment to excellence in nursing. One of the tougher requirements is for all nurse managers and supervisors to hold a bachelor’s degree at minimum. However, hospital employers are seeking to hire the best talent even at the entry-level by recruiting BSNs only. They are essentially following national guidelines, which includes increasing the number of nurses holding a BSN degree or higher to 80 percent by 2020 as recommended by the Institute of Medicine’s Future of Nursing report. When the tsunami of retirements among nurses hit, BSNs will be among the most obvious choices to replace these experienced workers. Academia is another area where there’s a huge demand. Jobs in this arena require a master’s or doctoral degree. The BSN sets the foundational preparation for graduate study. Following is a list of the various types of BSN programs available in New Hampshire. LPN to BSN: Licensed practical nurses care for patients in various healthcare settings. They report to registered nurses, and their scope of practice does not extend to the wide range of responsibilities placed on a registered nurse. LPNs who want to have greater input in the assessment and development of patient care plans can fast track their way to a bachelor’s degree in nursing through the LPN-to-BSN program. With the transfer of eligible general education, science and nursing courses, the student will complete the program in less time and become eligible to take the NCLEX-RN. RN to BSN: Enrollment in RN-BSN programs are on the rise as registered nurses return to school in droves to meet the educational requirements for nurses. Nurses are taking up the challenge to complete the BSN for career advancement, better pay, more opportunities, job security, or educational goals. The flexible online format lets them complete the requirements without affecting their work and family schedules. The program may be completed in 1 to 2 years based on the chosen schedule. An academic will assess the student’s transcripts and determine what the courses needed to complete the 120 credits required to graduate with a baccalaureate degree. Traditional BSN: Although the associate degree in nursing is the most popular path to nursing, direct enrollment in the traditional BSN is on the rise. Students who choose this level traveled pathway reap the benefits of more job opportunities and especially qualify for vacancies in hospitals and similar health care faculties. They also have the foundational preparation to enroll in a graduate level program to become an advanced practice nurse or nurse educator. The BSN program seeks to develop students’ understanding of critical thinking, communication, patient advocacy, economics, health policy, and evidence-based practice. Fast-track BSN: Professionals who hold a bachelor’s degree in another major can enroll in a fast-track program to earn a degree in nursing with just 16 months of rigorous study. The specially designed program builds on the knowledge gained in the previous degree program. This type of program typically requires full-time attendance as nursing courses begin from the onset to facilitate faster completion of the requirements. Graduates are eligible to take the NCLEX-RN to begin a career as a registered nurse. BSN graduates can apply for the licensure exam to practice as a registered nurse in New Hampshire. The Bachelor of Science in Nursing prepares students to become responsible and respected nursing professionals. Employment trends project better opportunities for BSN graduates. They are also more likely to progress faster towards leadership positions and are better prepared for graduate study than a nurse who has completed the associate’s degree in nursing. Students will generally complete the pre-nursing requirements, which include general education courses, prerequisites, and other requirements for admission to the traditional BSN program. The final two years of the program will cover the courses needed to obtain a BSN degree. Nursing courses could account for more than 65 credits of the 120-credit requirement. Course topics will include fundamentals of nursing, psychiatric nursing, culture in nursing, pharmacology, adult health nursing, physical assessment in health care, nursing leadership and management, maternity and newborn nursing, community nursing, and nursing research. Graduates have the necessary knowledge and skills to safely practice as a registered nurse after passing the NCLEX-RN exam and meeting all the requirements for licensure in New Hampshire. Nurses work in hospitals, clinics, communities, nursing homes, home health, long-term care facilities, schools, and correctional facilities. Complete all the general education and common prerequisites. Submit an application to the school’s Department of Nursing. Request all official transcripts to be sent directly to the school’s registrar electronically of via the postal service. Have a cumulative GPA or 2.0 or above on the prerequisite and general education courses. Attend an orientation session designed for nursing students. Participation in the mandatory clinical experience will require students to complete a criminal background check, CPR training, drug screen, and the health requirements – these could include proof of immunization, TB test, and physical exam. The second degree BSN or accelerated BSN is targeted to motivated individuals who hold a bachelor’s degree in another field but desire a career change. This program is traditionally campus-based and requires full-time attendance for approximately 16 months. This option covers all the components of the traditional BSN, including the clinical experiences where students provide direct patient care under the supervision of experienced faculty. Graduates of the program are well prepared to take the NCLEX-RN to become a registered nurse. In addition to their knowledge and skills in nursing, graduates often bring additional skills to the workplace that employers recognize and value. Course topics include foundations of nursing practice, nursing care of adults, the pharmacologic basis of nursing practice, health assessment and promotion in nursing practice, professional nursing leadership, nursing care of adults, care of families, psychosocial nursing, and evidence-based nursing and research. At the conclusion of the program, graduates will be able to function as professional generalists, work collaboratively with community agencies, participate in health care delivery and research, and recognize and respond the need for lifelong learning. Students must complete the minimum admission requirements, which may include a BA/BS from a regionally accredited college, complete the prerequisite courses and complete nursing prerequisites with a designated minimum grade. Clinical placement may require up to date immunization, drug screening, and a criminal history background check. The point of entry, time to completion, and the residency status of the student will determine the total cost of tuition. At public universities in New Hampshire, tuition costs approximately $7,385 per semester plus mandatory fees for full-time students. Following is a list of Board-approved BSN programs in New Hampshire with the NCLEX-RN pass rates.